For the most part, shrubs are highly self-sufficient plants. They are hardy, and need almost no attention apart from the occasional trim. However, autumn is an important time for shrubs, and tending to your shrubs the wrong way during this time of year can wreak havoc with your yard when spring rolls around. 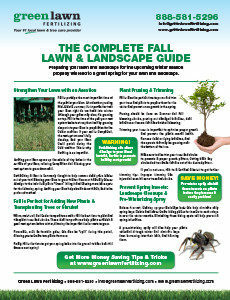 The following tips will help you maintain your shrubs’ health during the autumn season. Plant – Whereas spring is usually the best time to plant most plants, fall is the optimal time for planting shrubs. This is because shrubs do not send their roots out into the soil in spring and summer, but instead send out new buds, berries and leaves. In fall, their drive to produce ornamentation with reproductive purposes slows to a stop and their roots start doing the work of digging into the soil to secure them in place for the winter. orming buds that will blossom in the spring, and pruning them away will ensure bare, ugly shrubs when winter is over. Lightly and carefully trimming away dead twigs from your shrubs, however, is perfectly acceptable. Recycle Leaves – Fall is the season that provides you with free mulch in the form of colorful, falling leaves. Shred the fallen leaves you rake up from your lawn and layer them around the base of your shrubs to provide them with extra nutrition before the cold sets in. 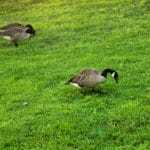 Aerate – Aeration, or the process of extracting plugs of soil from your lawn to loosen the soil, is a very healthy treatment for the soil around your shrubs in the fall, and for the soil of your lawn in general. 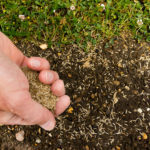 After a summer of people crossing and re-crossing the lawn in the warm weather, the soil gets packed down, making it more difficult for shrubs to send out roots and causing water drainage problems. Fertilize – Fertilization is also recommended for shrubs in the fall, as long as you don’t expect the temperatures to get below freezing during the winter. 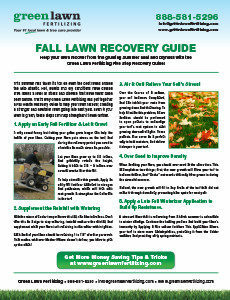 If you live in a fairly temperate place, fertilization will fortify your shrubs against the cold winter months ahead. 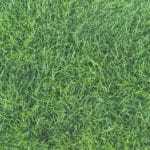 Shrubs can be an attractive, colorful and pleasantly scented addition to your lawn, and will continue to compliment it for years to come if treated properly. 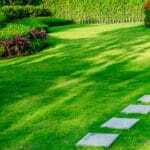 If you are looking for aeration and fertilization services for your shrubs this fall, or for your lawn at any time of year, give your local Pennsylvania lawn care professionals at Green Lawn a call today.